We are thrilled to announce the newest addition to our client roster, CHOBANI Greek Yogurt! CHOBANI is the #1 selling brand in authentically strained Greek Yogurt within the US, UK, & Australia. All of CHOBANI‘s 60+ flavors adhere to the “back-to-basics” approach of crafting wholesome products using simple ingredients and real fruit. Should you decide to try one of their featured seasonal flavors like Plum or Watermelon, choose one of their more traditional Greek options like Blackberry or Apricot, or even indulge in a mini Double Chocolate Chunk, CHOBANI has something for everyone! As CHOBANI‘s Founder and CEO Hamdi Ulukaya so perfectly states, “CHOBANI Yogurt is made with simple ingredients by real people who have a passion for what they do.” This statement could not be more true when comparing the craft of yogurt making, to the many men and women who passionately work in the entertainment industry daily — creating moments with simple ingredients for the world to see! 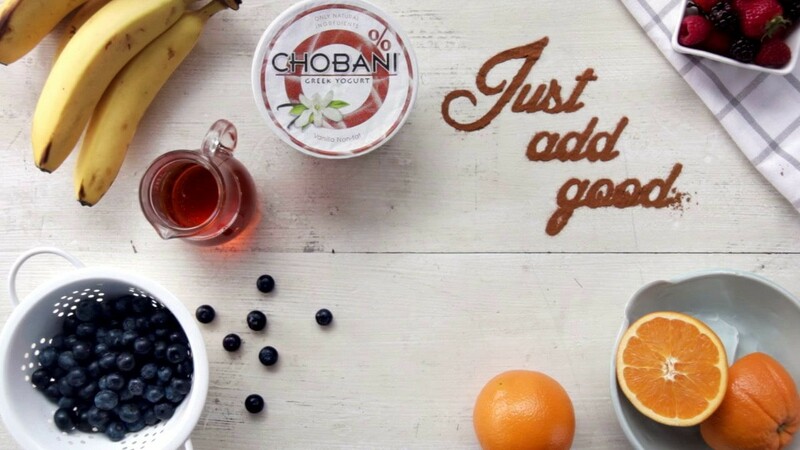 Let CHOBANI be YOUR simple ingredient! We welcome opportunities for CHOBANI and their seamless fit within your production’s lifestyle scenarios, placement, promotions, premiere sponsorships, craft service support, & more! Also, don’t forget the kids! CHOBANI additionally has treats for young Hollywood as well — tots can now make nutrition FUN, both on and off camera with CHOBANI‘s squeezable packets and on-the-go options! CHOBANI wants you to know “how your day starts matters” … Grab a cup and see what everyone has been talking about! !